Believe it or not, this is a latex LARP weapon. 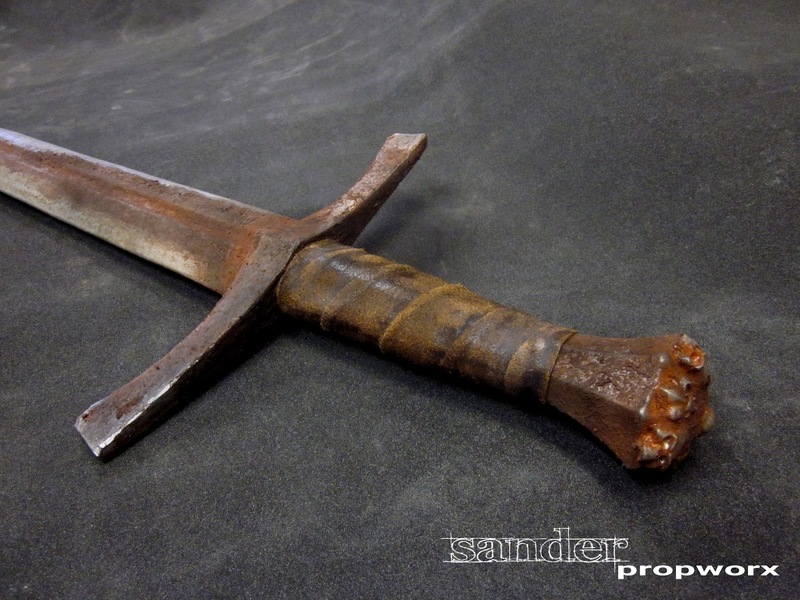 Sander Propworx once again demonstrates just how far LARP weaponeering has progressed. This sword looks really quite good. 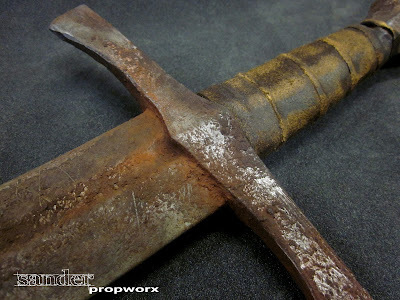 It´s also surely not only due to the craftmanship of its creator who made a fantastic job of forming and painting foam into steel, but also because this sword is quite true to the original swords, and not just a fantasy item. Only the small lily decorations on the pommel look somewhat unusual, as this kind of metal work would have required a lot of chisel work. Instead decorations of the pommel were usually made with a file. A note about leather covering of the hilt: This part of the hilt was, at least sometimes, made from the tail skin of cattle, which was soaked in water, drawn over the hilt (of course before the pommel was added) and dried. This resulted in a seamless covering of the underlying wooden hilt parts. Are any of the rusty sword props for sale?